Tracy Hudak is the founder and principal of CreativityWorks. 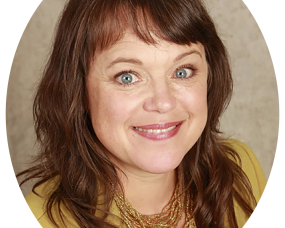 She has twenty years of experience in organizational development, financial and strategic consulting for businesses and nonprofits. Current projects include serving as the Outreach and Development Director for the Westside Community Development Corporation, on the faculties of Women’s Economic Ventures and the Center for Nonprofit Leadership, and as the Creative Economy Fellow for Culturelab. She is a member of the volunteer steering committee tasked with implementing the Ventura County Economic Vitality Strategic Plan. In 2016, she was the keynote speaker for the San Luis Obispo Creative Economy Forum and her writing on the creative sector has been featured in the Pacific Coast Business Times, the CA Forward blog, KCET Artbound, and local publications. She served as the Arts Impact Director for downtown Oxnard, tasked with catalyzing arts activity in the area as an economic and community development strategy, and as Executive Director for the Bell Arts Factory. Ms. Hudak has a BFA in Performance and Painting from the School of the Art Institute of Chicago and is currently completing a Masters Degree in Public Policy and Administration from California Lutheran University. Her thesis focus is developing a handbook for launching Ventura County's first Creative Economy Initiative.